That “profound knowledge of composition” reveals itself everywhere in the quartet. In the first movement, both main subjects (the first of which contains no fewer than four motivic fragments) are developed contrapuntally almost immediately after being presented. In the Minuetto the opening subject consists of a rising lyrical element and a falling articulated one; these are immediately combined, superimposed on each other and developed accordingly. The movement is also remarkable for the expressive use of silences and for frequent and dramatic alternation of loud and soft. Characteristics like these pervade the quartet. But what gives this music its almost magical appeal is Mozart’s supreme ability to combine this high order of craftsmanship with artistic beauty, elegance of expression and a sense of a totally natural unfolding of musical events. Very few works of chamber music owe their inspiration to extramusical sources. Janáček’s String Quartet No. 1 is one of these. (Other well-known examples include Schoenberg’s Verklärte Nacht, Smetana’s String Quartet No. 1 (From My Life) and Janáček’s String Quartet No. 2, entitled Intimate Pages. Janáček, unlike most other composers, did not produce a string quartet until late in life (to be technically correct, he wrote a quartet during his student days in Vienna in 1880, but this has been lost). 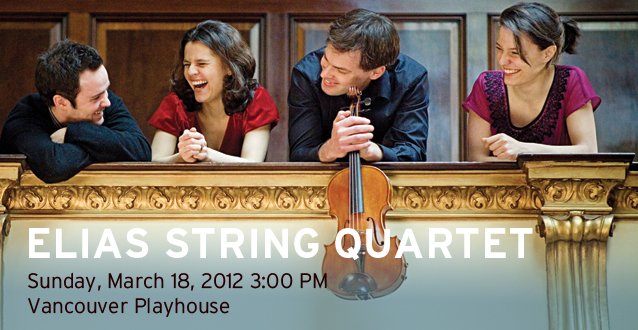 The First Quartet dates from 1923, when the composer was 69, the Second from 1928, the year of his death at age 74. 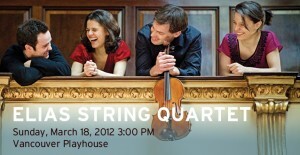 The First Quartet’s subtitle refers to both a short novel by Tolstoy and a sonata for violin and piano by Beethoven. Both have relevance to Janáček’s quartet. Tolstoy’s novella (1889) is the story of a married woman caught in the dilemma between remaining faithful to a man who treats her cruelly and having an affair with a violinist who adores her. The violinist, ironically, was introduced to the woman by her husband at a soirée during which Beethoven’s Kreutzer Sonata (No. 9, Op. 47) was performed. Tolstoy describes in detail the effect the music had on those present. Among other observations, the author believes music generally to be “one of the main intermediaries for encouraging adultery in our society.” At any rate, the husband returns unexpectedly early from a business trip several days later to find his wife and the violinist in passionate embrace. The “poor, exhausted, beaten, sorrow-worn woman” is thereupon murdered. Janáček’s compassion for this unfortunate woman found its way into artistic expression through his First String Quartet, which was given its premiere by the famed Bohemian Quartet on October 24, 1924 in Prague. In preparing to write the quartet, Janáček annotated a copy of Tolstoy’s work with specific ideas about the relationship between the sonata and the novella. However, the composer made no effort to trace any kind of dramatic program in his quartet. Rather, it presents and expands emotional and psychological states to which various musico-dramatic touches have been added. To some listeners, the opening of the third movement of Janáček’s quartet is a veiled quote from the slow movement of Beethoven’s sonata. One might assign specific themes to characters or moods, if one wishes, but it is the overall sense of theatre that makes the quartet such a compelling work. Not one of its four movements is in sonata form. Instead, motifs and rhythmic devices are presented, repeated, juxtaposed and combined in constantly changing tempos and metres. In a work lasting less than twenty minutes in performance, there are no fewer than 61 changes of tempo and 25 changes of metre. Over and above all this we find liberal use of such special effects as sul ponticello (playing on the bridge of the instrument, which produces an eerie, ghostly sound), harmonics and ostinatos in addition to more traditional effects like trills, pizzicatos and muted passages. Three great composers wrote a great string quartet in A minor within just a few years of each other in the early nineteenth century: Beethoven (Op. 132), Schubert (No. 13, Op. 29; D 804) and Mendelssohn. But while Beethoven’s and Schubert’s quartets are among their last compositions, composed in 1824-1825, Mendelssohn’s is the work of a young man who has not even reached his maturity. He was eighteen when he wrote it. Although it is assigned No. 2, it was actually his first (not counting an even earlier, unnumbered composition), composed in 1827 but it was published second. The first performance was given in Paris on February 14, 1832. Listeners will easily note a number of special features of this quartet. First and foremost, it is an astonishingly mature work for an eighteen-year-old. A composer twice or three times Mendelssohn’s age would have been proud to offer it as his own. But then, Mendelssohn had been writing music on this level at an even earlier age – the Octet and the Overture to A Midsummer Night’s Dream come readily to mind. Mendelssohn’s quartet opens and closes in A major, which normally would lead us to call it a quartet “in A major.” But those opening and closing passages are only a prologue and epilogue framing the main body of a work in A minor (the second movement alone is in a different key). It is difficult to think of another multi-movement work that behaves like this. Then there is the powerful influence of Beethoven’s late quartets which Mendelssohn obviously knew, even though they had been written but a few years earlier. This influence can be seen in the advanced harmonic language, tightly knit counterpoint, recitative passages and use of motivic fragments for developmental purposes. Another Beethovenian device is the use of a three-word question as the source of inspiration. The last movement of Beethoven’s quartet Op.135 has as its motto “Muss es sein?” (Must it be?). For Mendelssohn it was “Ist es wahr?” (Is it true?). But while Beethoven’s impetus came from a trivial incident involving payment of a fee, for the youthful Mendelssohn it was something more serious. He was all aflame over a young lady (we’re not sure who), who inspired him to set a song to a short poem, possibly by himself, possibly by a friend named Gustav Droyson (pen name J. N. Voss). “Is it true that you’ll always be waiting for me beneath the leafy path?” runs the opening line. The quartet begins with a warmly consoling, richly scored, chorale-like passage that gives no hint of the emotional turmoil and contrapuntal displays about to be unleashed. It is the perfect foil. Near the end of this short passage Mendelssohn twice presents the “Ist es wahr?” motif (long-short-long), exactly as it appeared at the beginning of the song. Then a rumble from the viola, a few bars of “scurrying” for all four strings, and we’re off on a deeply troubled journey through a long, sonata-form movement pervaded by the “Ist es wahr?” motif. Its rhythm is everywhere, even if its melodic profile is not. As a further measure of the emotional heat of this movement, the second theme, announced by the first violin, is in E minor, not major, as would be the case in most any other sonata-form movement of the period. Here, incidentally, is one of the few moments where the “Ist es wahr?” rhythm is absent. The development section consists of an intense, at times almost violent working out of the “scurrying” figure and, to no one’s surprise by now, the rhythmic pattern of “Ist es wahr?”. The spirit of Beethoven is nowhere more pronounced than in the adagio movement, with its soulful, hymnlike opening subject and aura of Innigkeit (inwardness). More Beethovenian influence is seen in the use of fugato (a short passage in fugal style but not a fully developed fugue) and in the highly advanced harmony of the central episode. Perhaps nowhere else did Mendelssohn ascend to such levels of expressive dissonance as he did in this movement. The main theme of the Intermezzo has a folk-like simplicity to it, gently wistful, as if “smiling through the tears.” The movement’s central episode has the characteristic feathery lightness of touch we associate with the Mendelssohn of A Midsummer Night’s Dream and the Octet, though even here imitative counterpoint holds sway, even to the point of two different ideas – one lightly tripping, the other lyrical – bounced about simultaneously at one point. The finale begins with one of Mendelssohn’s most daring and dramatic gestures – the equivalent of a recitative delivered by an impassioned operatic character, sung by the first violin to throbbing accompaniment from the other strings. It is a gesture Mendelssohn may well have learned from the analogous passage in Beethoven’s Ninth or his A-minor quartet (Op. 132). In fact, the similarity in both rhythm and melodic outline is remarkably close to the corresponding passage in Op. 132. Thereafter it returns in varied form three more times interspersed with fresh melodic ideas. The incisive, five-note pattern (three short, two long) that constitute the recitative’s rhythmic hallmark turn up again and again throughout the movement like a kind of musical genetic code. Again, as in the first movement, the second theme is in E minor, not E major. Mendelssohn saves his greatest surprise for the end. The music seems to be hurtling toward a thrilling conclusion. The fourth recitative passage interrupts the proceedings, and we revert to the tranquil music that opened the quartet nearly half an hour ago. Here Mendelssohn expands that material into a postlude of 25 measures, exactly the length of the song that was the quartet’s raison d’être. It brings a satisfying sense of closure; “Ist es wahr?” has come full circle. Programme notes by Robert Markow, 2012.